I have a couple of days in New Orleans before starting the journey up Highway 61. My flight landed around 6 pm and I take a hotel shuttle from the airport: it’s a short ride into the city. 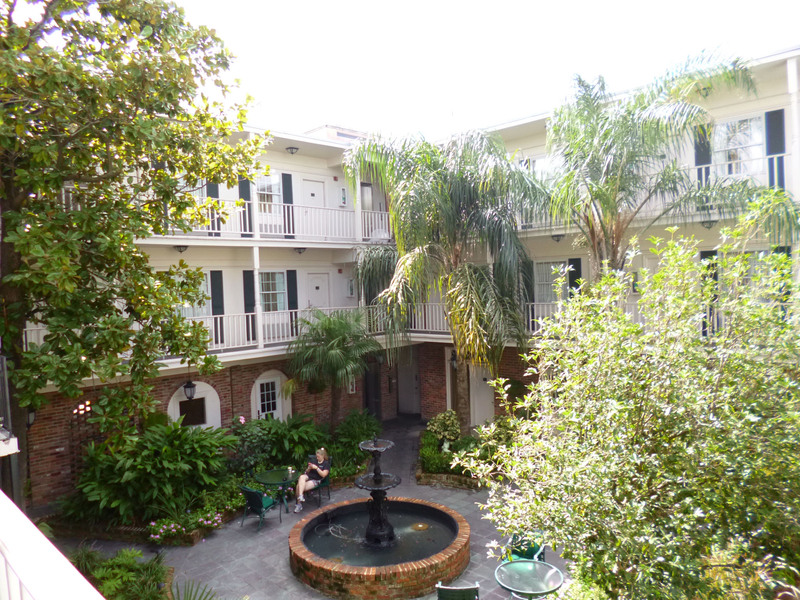 I’m staying at the Best Western Plus French Quarter Landmark Hotel which is just on the edge of the French Quarter and, as it turns out, a good choice because it’s very quiet. The hotel seems OK at first sight. I get settled in and decide to walk down to Bourbon Street, which is not far according to the concierge. The streets in the FQ are in a grid system, so I just turn left and walk straight until I hit Bourbon… and when I do, it’s quiet at that point but I can see that a block or two down it’s all ablaze with neon lights. So I walk up to the blazing lights but it’s a quiet night on the Street as a whole as it turns out, with not many people around – it’s Monday – so it’s a chance to find my bearings for tomorrow night. I end up in Johnny White’s Corner Pub for a relaxing beer or two before heading back to the hotel. The barman there does confirm however that it will get busier and noisier as the week progresses. One disappointing aspect was that there didn’t seem to be that many live music bars and those I saw didn’t offer much, as least tonight.